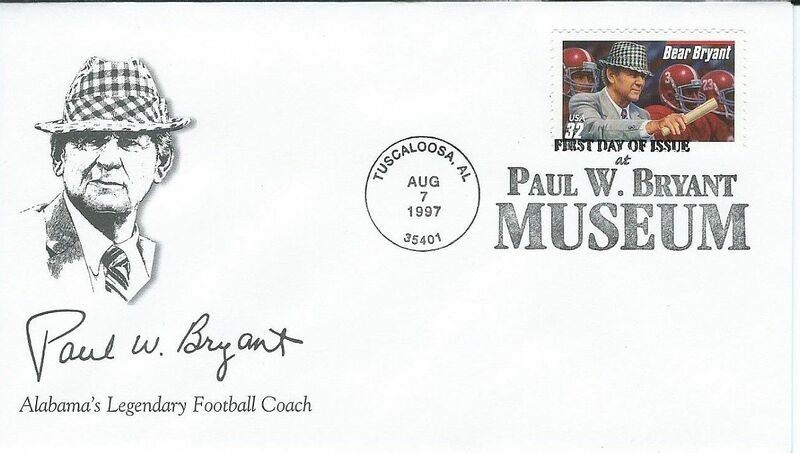 Here is a rare 1997 Bear Bryant Stamp and Cachet Set issued by the USPS on the first day of issue, August 7, 1997. This Bear Stamp has the Red Bar above the name which means it was issued in the State of Alabama. This “Cachet” Set has the envelope, the Bear stamp and a First Day Issue at Paul W. Bryant Museum stamped along with the date. It measures 3 3/4 X 6 1/2 and is very good to mint condition. 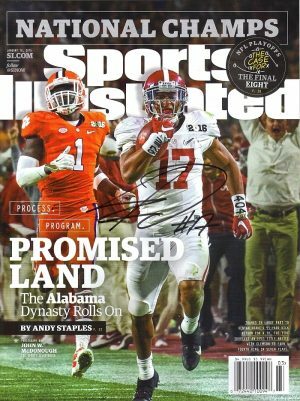 These make great gifts for that hard to buy for Bama fan.